Voting for the election of Sonowal Kachari Autonomous Council (AKAC) and Mising Autonomous Council (MAC) began peacefully in Sivasagar district of eastern Assam on Monday. The voting for the two autonomous councils began at 7 am. Under 17 Rajabari constituency voting is going on at 10 polling stations for the Sonowal Kachari Autonomous Council while 34 Disang-Dikhow constituency, voting is going on at 22 polling stations for the Mising Autonomous Council. As many as 4262 voters will decide the fate of three candidates for the Sonowal Kachari Autonomous Council in the district. For the 17 Rajabari constituency, Kamal Kachari is contesting on an Indian National Congress (INC) ticket while Jadab Dekabaruah is contesting on Bharatiya Janata Party (BJP) ticket. Subhrajit Sonowal is contesting the Sonowal Kachari Autonomous Council election from the constituency as an independent candidate. On the other hand at the 34 Dikhow-Disang constituency, four candidates are in the fray for the Mising Autonomous Council elections. Anita Aiyen is contesting on Asom Gana Parishad (AGP) ticket while Brishti Panging Mili is contesting on BJP ticket. Congress has fielded Renuka Mili while the Sanmilita Ganashakti, Asom has fielded Niva Pegu as its candidate. A total of 4268 voters, of which 2214 are male and 2054 female, are exercise their franchise for Sonowal Kachari Autonomous Council election. 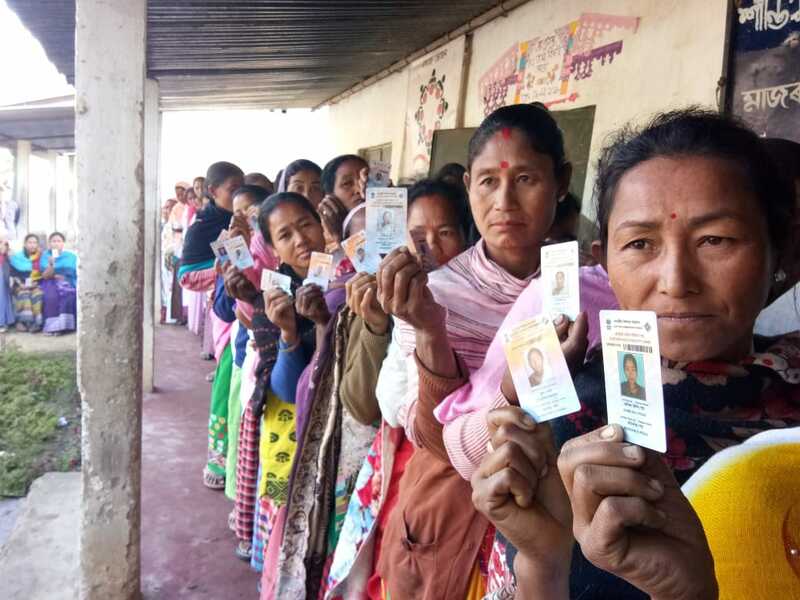 Likewise, for Mising Autonomous Council Election, a total of 16,238 voters, of which 8190 are male and 8048 are female, will cast their vote on Monday. The polling for the election to both the autonomous councils in the district will end at 3 pm.